Nick Stone is a stoic, dedicated FBI agent. His life is neat and orderly, just the way he likes it. Bayley Hanssen is a vivacious romance novelist and bookstore owner, thriving on chaos. On one of Nick's stakeout, the two collide, and Bayley turns his life upside down. Disenchanted with the political posturing of his superiors, the lure of working for the Saints becomes a reality. And he discovers that life with the fun-loving Bayley is just what he needs. But when human traffickers strike close to home, Nick and the Saints fight to keep Bayley safe. Belle Gunn has watched all her friends find love in Baytown, but love has not yet come her way. Wearing her heart on her sleeve, she throws herself into her job in a nursing home and continued studies. Watching the sun rise each morning, she looks for the new day, with all its possibilities, to begin. Hunter Simmons, landed in Baytown, having heard of the welcoming attitude toward veterans. Since leaving the Navy, he had drifted until finding work in the little coastal town’s nursing home. Working with and living near the beautiful Belle makes him wonder if he can finally settle down. Luke Costas, the Saints' resident computer guru, preferred quiet nights and burying himself in digital investigating. But he wasn't alone. A mystery cyber-contact assisted when possible, becoming more and more integrated into Luke's thoughts...and dreams. One night he discovered a woman standing in his living room. And his dream became a reality. Charlie had been on the run for months after witnessing an assassination. Tired of going it alone she turned to the one person she knew could help her unravel the horrific conspiracy of a medical organization harvesting organs for sale. 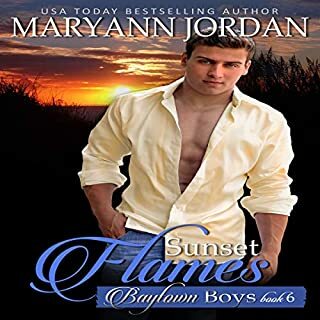 The Baytown Boys Military duty called them away to war zones, but after tours overseas, the group of friends found their way back home as men, seeking the peaceful little seaside town. Now, the band of brothers, together once more, work to provide a place for less fortunate veterans to call home. Zac Hamilton, one of the original Baytown Boys, had returned from the Navy to become the Fire Chief for the small town. But, the Eastern Shore was gripped in fear as an arsonist continued to set fires all over the county just after sunset. Cooper Nelson’s SEAL career was cut drastically short when an explosion left him almost completely deaf. 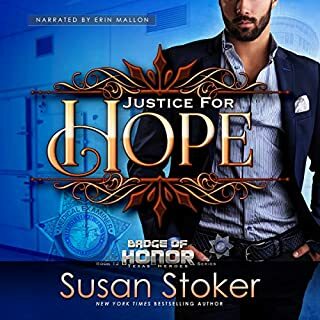 With so much of his pride and self-worth tied to the profession he loved above all else, Coop struggles in his nearly silent new world, his future seemingly bleak…until Commander Hurt badgers him into volunteering at the Riverton School for the Deaf. There, he meets teacher Kiera Hamilton, who opens his eyes - and his heart - to a love more fulfilling than any job could be. Hiding from her ex is exhausting enough, but for Hope Drayden, putting her seven-year-old son through a life on the run and living on the streets has been mentally torturous. When a kind diner owner offers her a job, Hope begins to claw her way toward a new beginning for herself and Billy, one tip at a time. At the request of a friend, medical examiner Calder Stonewall has been looking for Hope and Billy for weeks. When they unexpectedly show up at the scene of a crime, his interest soon becomes personal. First-grade teacher Tony Santoro’s time in the military directly influenced his new choice of career - and his choice in women. He’s looking for someone of substance, and Aimee has far more to offer than just her adorably disheveled look. But the very day he finally works up the nerve to ask Aimee out is the day unspeakable violence explodes in the school. Trapped in the gym, Aimee and Tony will have to work together to get out with their lives...and the lives of the dozens of students trapped with them. Lance Greene. Former military. Current artist and recluse. Moving to Baytown was a chance to get away and forget. Forget his family’s expectations, forget the friends he lost on his last mission, and try to forget the nightmares that follow him. Staying away from people worked, until he met her. Jade Lyons. Elementary teacher. Sea glass collector. 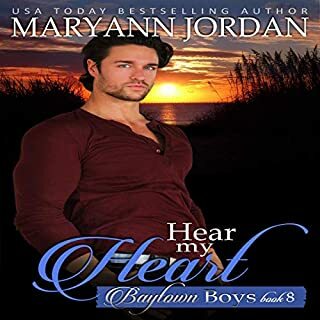 New to Baytown, she embraced all the small town had to offer, loving the little town, her friends, her students, and her new habit of early morning walks on the beach to find sea glass. Until she met him. 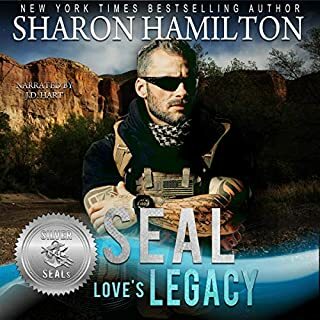 Grieving Navy SEAL widower John Decker, commemorating the two-year anniversary of the day he lived and his wife died, is dragged back into life by a riptide and a blonde he can't get out of his thoughts. Plagued with survivor's guilt, he's reluctant to enter a new relationship, until he meets a feisty bartender with attitude and curves to go with it. Former Special Forces brother-in-arms now working together to provide an elite security service in the Southern city of Richland. Tony Alvarez, former Special Forces captain, now owns his own security agency. Once destroyed by loss and grief, his business is his life. Working to keep others safe, he safeguards his heart as well. Until he met her. Sherrie Mullins had been rescued by Tony a year earlier as part of a mission. But to her...he was the prince she had always wanted. Vinny Malloy, dedicated to his brothers while working for Alvarez Security, loved life the way he loved his music...loud, hard, and fast. When his friends and twin brother settled down, he continued to be devoted to his easy weekend conquests...until his next mission, when he discovers that opposites can attract. Annalissa O'Brian, a shy harpist with the Richland Symphonic Orchestra, is constantly being told where to perform, regardless of her desire to teach music. Saints Protection & Investigations: a private-investigation business, pulling together men from the CIA, FBI, ATF, DEA, Border Patrol, SEALs, and police, devoted to the missions no one else wants or can solve. Nathan Washington loved his job as a tracker, training his faithful bloodhounds. He had no idea the enigmatic woman he saved two years ago - and had not forgotten - would become part of his life again. When he learned she was in danger, he joined his friends, the Saints, to find her once again. But she was right under his nose. Just as he discovered who she was, he realized how much danger she was in. Can their love survive the deceptions...or the danger that follows? This audiobook contains scenes that would be found in an R-rated movie. For 18-plus listeners only.